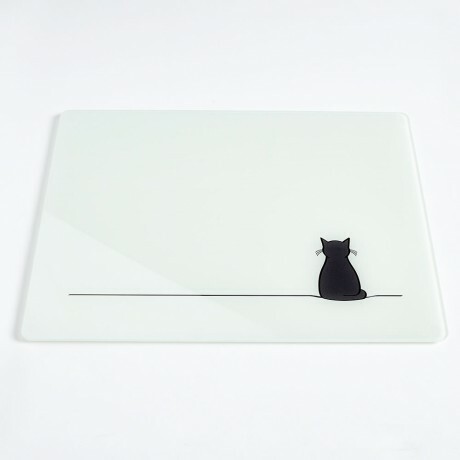 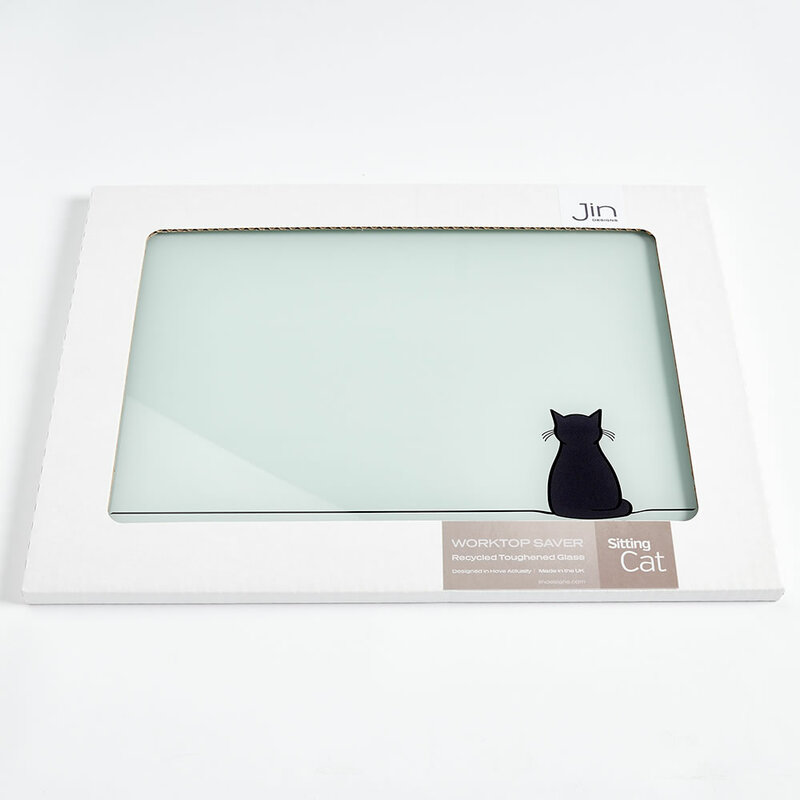 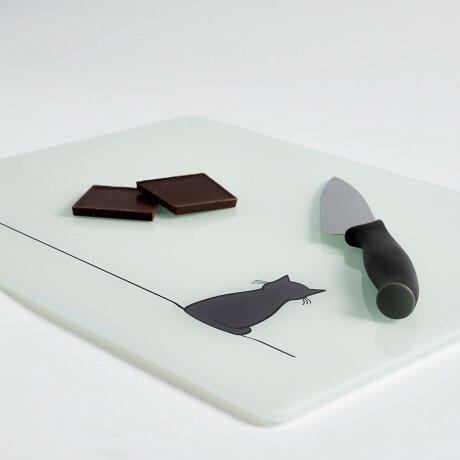 Sitting Cat Worktop Saver is made from recycled, toughened glass and has 4 non-slip rubber feet. It's an ideal kitchen accessory not only being stylish but functional too - for hot plates, chopping food, presenting food - all kinds of uses. 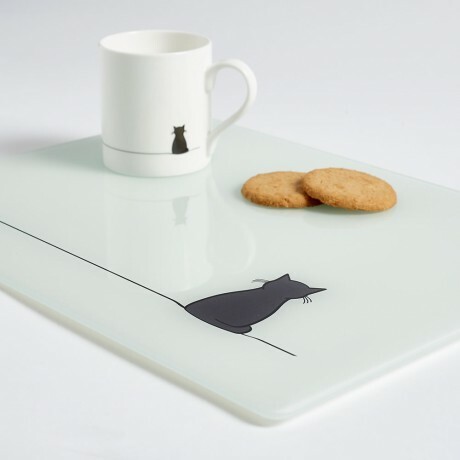 Sitting Cat is a simple illustration by Graphic Designer, Jinny Ursell - designed for cat lovers and anyone who appreciates clean and simple design.